In my life, there have been two people called Bruce who've inspired me to strive onwards, upwards, and always seemingly in the right direction. The first Bruce is obviously Bruce Wayne, also known as Batman, the Dark Knight Detective who usually uses his wits to combat the bad-guy's and save the day. 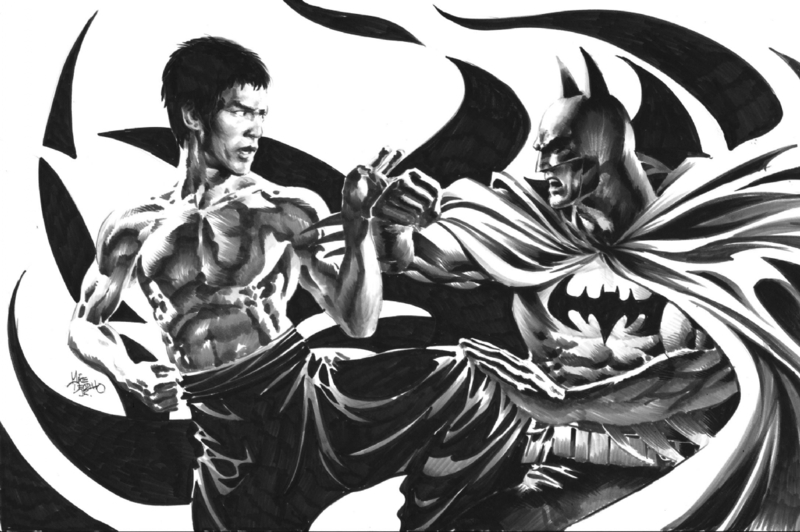 The second Bruce, however, is Bruce Lee, the martial arts action star who set a standard whilst creating a cinematic legacy. Funnily enough, I can say the same thing about my mate Matt, Matt Kohler, who has recently devised a fan-film inspired by my two favorite Bruce's, a fan-film called, Batman: Master Of Fear. 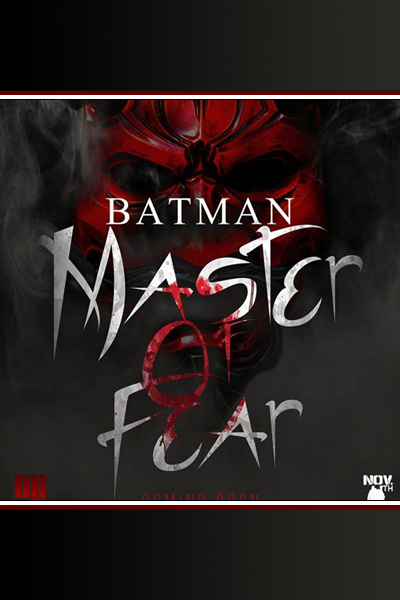 2) What inspired you to create your fan film, ‘Batman: Master Of Fear’? After watching Batman: Mask of Phantasm (my favorite Batman film) I realized that no film had ever tackled Batman's martial arts side before. After all, the video games -- like the Arkham games -- and the comic books have dealt with this facet already! So we at Red Fist, have decided to take a more martial arts styled approach to the show. Gaining inspiration from Jackie Chan's Police Story as well as anime shows like Death Note and Rurouni Kenshin, all in all I'd say Master Of Fear is influenced by eastern culture. As I told everyone else, if we're going to do a Batman story, it was going to be my interpretation of the character. 3) In your own words how would you describe this story? 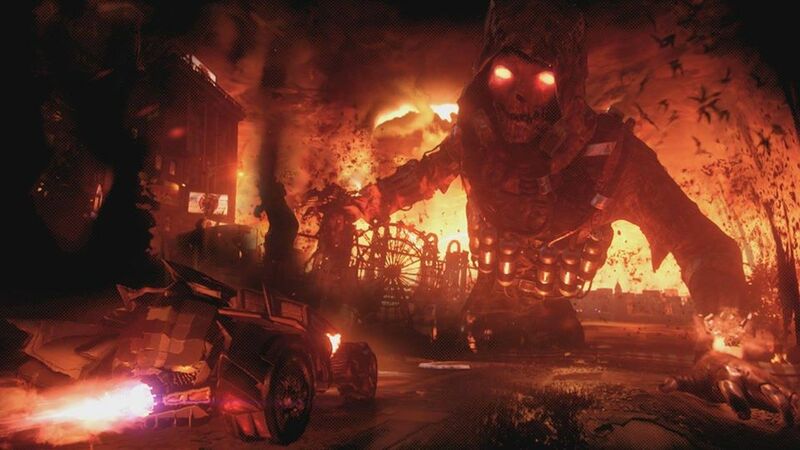 It's a Gothic horror tale that pits Batman against evolution itself. 4) What song would you say best represents this film and why? I have always been partial to Phantasm's theme from Mask of Phantasm. Not only did I strive for that eerie feeling for our film, but that song has also truly grown on me over the years. 5) If you could get a celebrity – either living or dead – to promote your wares, who would you choose, and why would you want to choose this particular person? Bruce Lee. If anything makes our show stand out it's the fact that we promise fight scenes compatible to martial arts legends. Plus having Bruce Lee support our show would mean a lot, taking into account that he guest starred in the 60s version of the Batman TV series. 6) What have you learnt about yourself through this endeavour? When everything is going right, know that something is going to go wrong. Sooner or later you know it will happen, and how you react to those set-backs will show how much you can grow as a person. 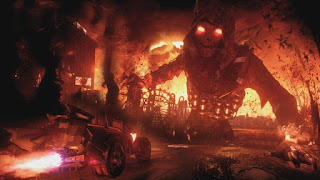 We spent six months working on the first episode, and six months working on the villain, simply because we know the backlash we will receive if the villain doesn't live up to the fans expectations. 7) During your time in this field, what is the one thing that has kept you in good stead? My willingness to keep pushing. I have learned a lot about choreography and martial arts over my lifetime, but I'm still hungry for more. Knowing that fight directing is a thing not yet tapped into in America, not completely, hopefully one day that will change. 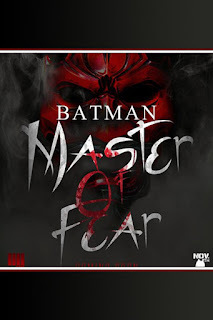 8) If ‘Master Of Fear’ had a motto, what would it be? Evolution kills us all. And on that note, I'd like to thank Matt for telling us about his fan-film, Batman: Master of Fear, before directing you towards his website, facebook, and twitter pages.